Part of a wonderful new range from the world-famous Irish whiskey makers, Jameson. The Deconstructed series aims to break down the three crucial qualities of the original Jameson Irish whiskey blend, and emphasis them wholly in their own bottling. Originally designed for the travel retail market, this is a big one litre bottling, allowing the drinker to really get to grips with the flavours on show. 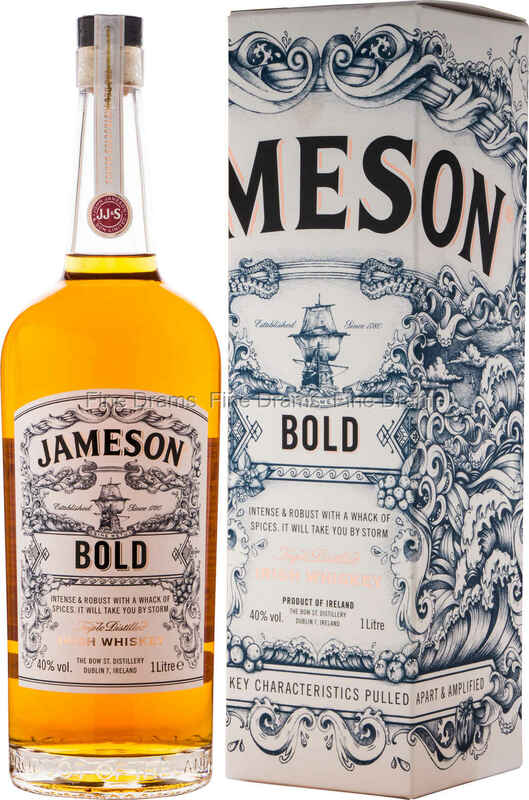 This particular bottling focuses on the bolder elements of James Irish whiskey, with a higher quantity of traditional Irish pot still whiskey. Irish pot still is known for its sharp, grassy flavours and strong caramel note, a crucial part of what makes Jameson’s whiskey taste the way it does. This is a peppery and spicy whiskey, that certainly lives up to its bold billing.